Of the 23,000+ CDs we have in our collection, we are highlighting over 300 works by and about African American musical artists from June 1st- 22nd. Former President Barack Obama declared June as African American Music Appreciation Month, an initiative first shaped in 1979. President Obama was able to draw further attention to the commemorative month with his 2016 proclamation and the many artists his administration invited to perform at the White House. Generally speaking, the content spans the 1940s to the early 2000s, including artists from every decade in between. African American music started much earlier than this, but when it comes to largely accessible sound recordings, the early 20th century was perhaps a good place to start in terms of our holdings. However, we do plan to include some very early recordings and have a few monographs that address African American music in the late 1800s- early 1900s. We also realize that streaming is perhaps the most popular way for young people to consume music. While we have resources for this (see “Music Online: Listening (North America” within our databases under “M” at go.middlebury.edu/lib), the CD cases and inserts make for great visuals. For those of us wanting to listen to the CDs, know that we have multiple disc drives behind the Circulation Desk to loan out. 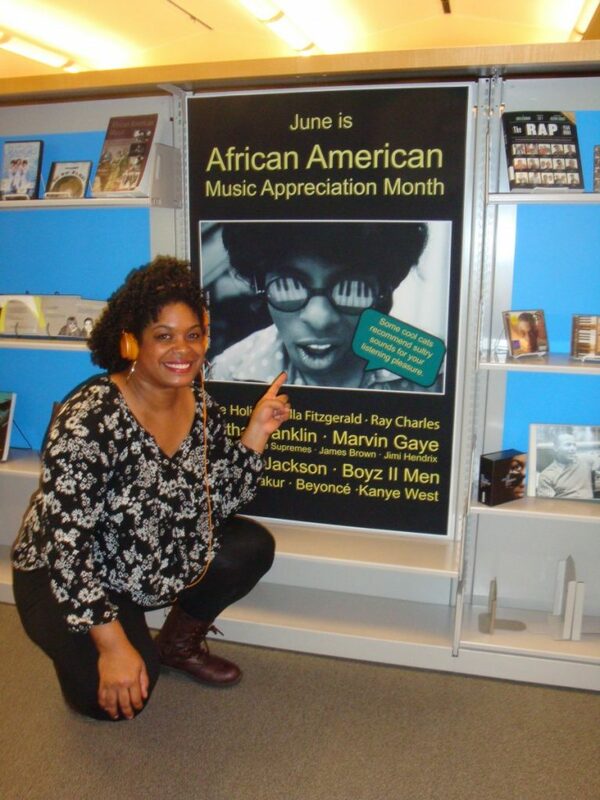 This entry was posted in African American, black, display, history, Library News, Library Spotlight, LIS Staff Interest, Motown, Post for MiddNotes, Post for MiddPoints, United States and tagged music on June 2, 2017 by Katrina Spencer.